Disclosure: I received products for review to facilitate this post. Affiliate links are contained herein. The opinions are my own. With summer harvests comes the opportunity to can. 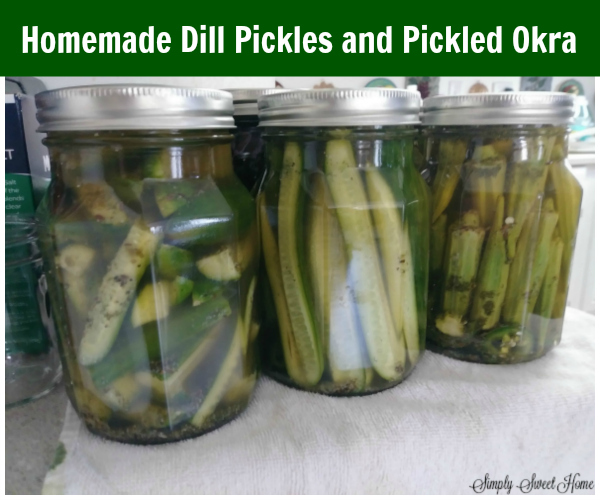 I love pickles, and my husband loves pickles, pickled okra, pickled peppers, pickled sausages…you get the idea! So after I received some Ball Jars to review, it seemed like the perfect time to do some pickling! 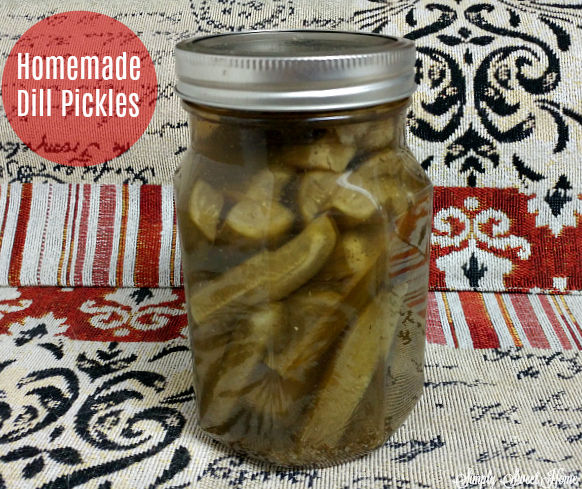 If you have the right recipe, homemade pickles are hard to beat! And they also make great gifts for holidays, housewarmings, hostess gifts, or just a simple gesture of kindness to a friend or neighbor. 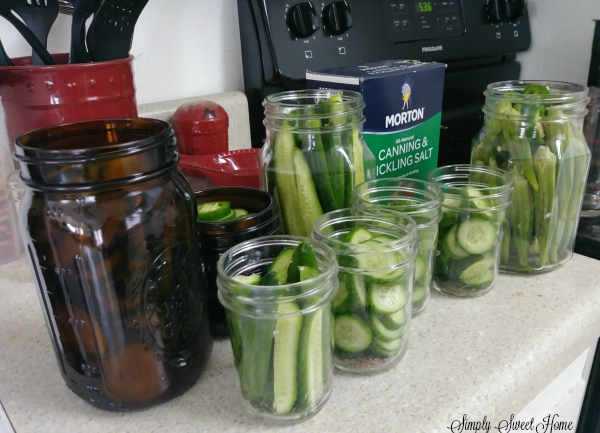 Today I’m going to share a few jar options available from Ball, and I’ve got a great pickle recipe for you! In the recipe instructions, you’ll also find tips for sterilizing your jars before use, tips about product shelf life, and more! Ball has a great variety of products available for your canning needs. 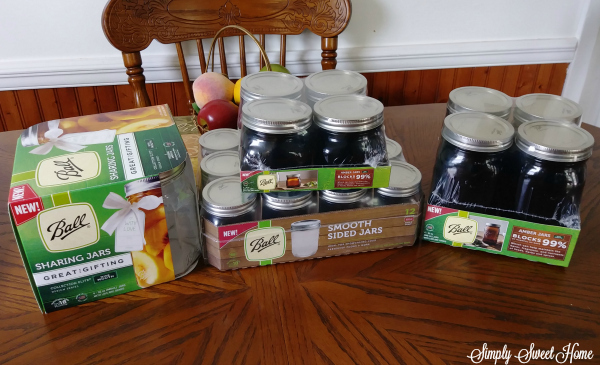 I received the following: Ball Sharing Jars, Smooth Sided Jars, 32 oz Amber Jars, 16 oz Amber Jars. The smooth sided jars look very cute and perfect for jellies and jams, and yes, even pickles! The amber jars are great because they block out 99% of light, to ensure optimum quality of product. The Sharing Jars have a unique shape and look great for gift giving or for your crafting needs. Today’s recipe is one that my husband and I just sort of threw together. I wrote down the ingredients as we made the pickles, crossing my fingers that the pickles would turn out good, and they did! This brine also works well for making pickled okra. 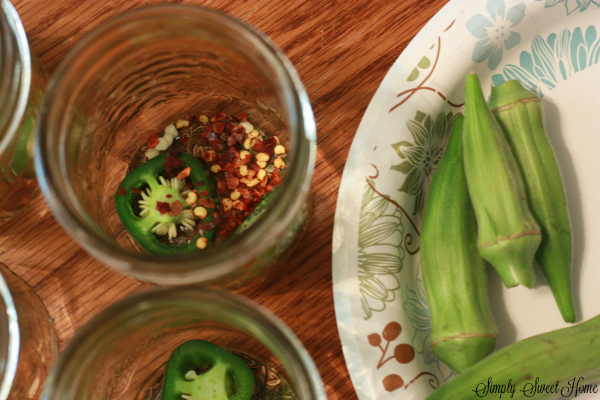 My hubs like his pickled okra hot and spicy, so for those jars, we added the jalapeno slices and peppercorn flakes before adding our vegetables. Sterilize jars. Place a pot of water on the stove with a towel in the bottom. (This is to keep the jars from busting.) Once the water is boiling place the jars inside and then use tongs to remove them. Then dry out jars. In a large pot, add your water and vinegar. Bring to a boil and add your spices. Mix well and remove from heat. Use a ladle to spoon brine in to the jars. Once jars are filled with veggies and brine, place the tops on them. The tops of the jars should pop, sealing them. If they do not seal, try placing the jars in a pot of hot water. These can be eaten within hours of making, but if you have the will power, I'd say let these sit for a week or two before eating. If you like crispy pickles, you should also plan to eat these within a few months. We found the pickles to be tasty but a little soft after a year. Store these in a warm, dry place. Refrigerate product after opening. Do you can? I’d love to hear what you can, and if you have a recipe please share it with me in the comments or tag me on social media!